It is always an amusing moment to see our beloved ones happy and surprised. 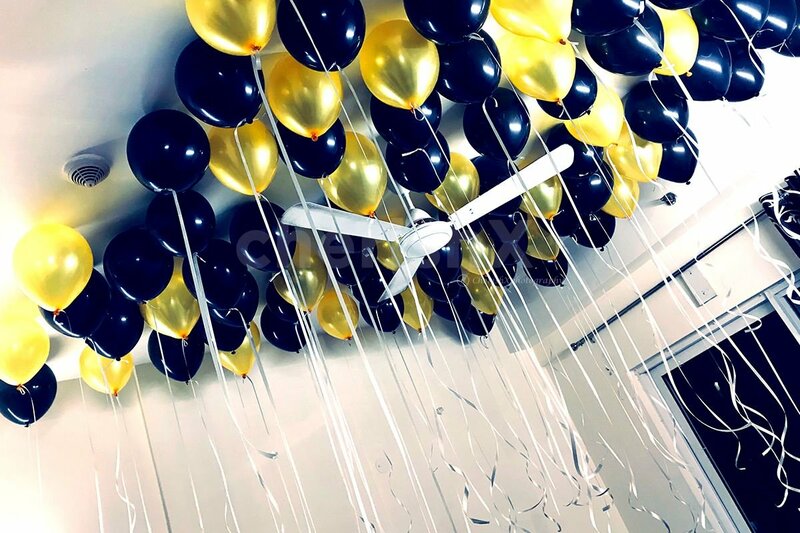 Flatter them with an exquisite Balloon decoration! 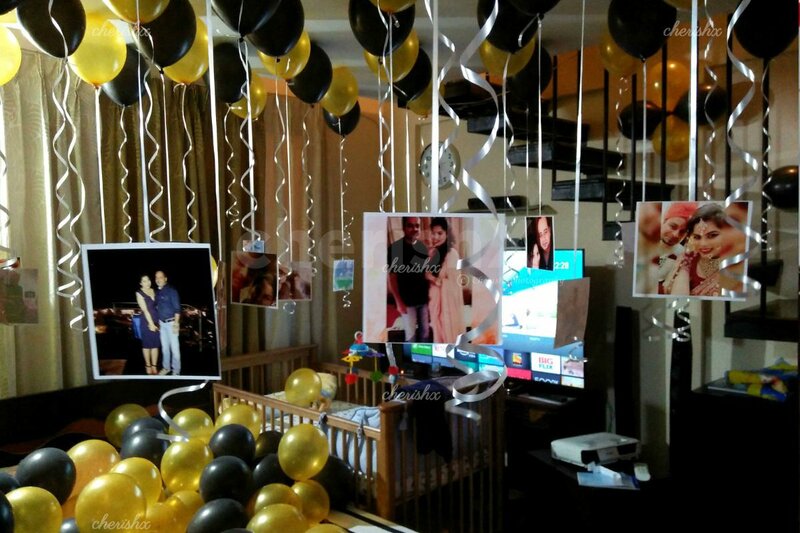 This surprise goes good with all occasions. Cheer up your friend who just had a down slide in their life, or your spouse to express your love for them! 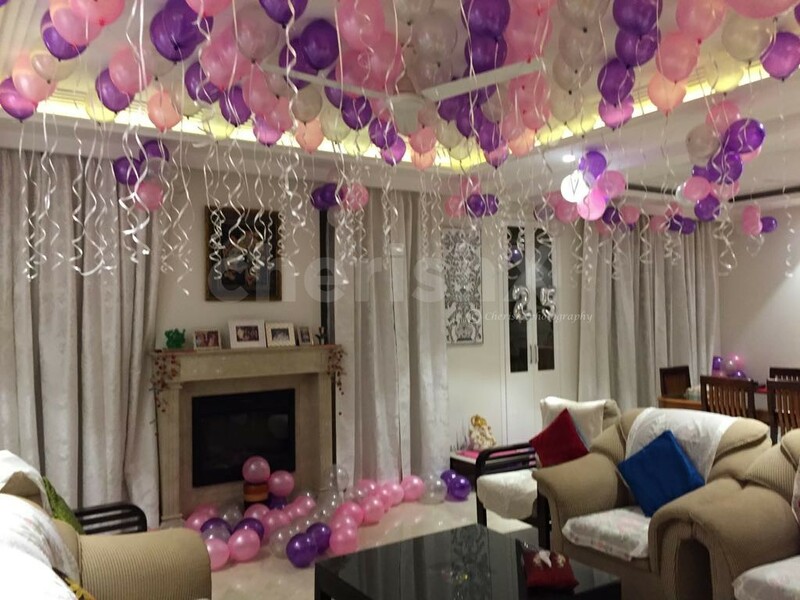 Bring upon a smile on your parents’ face and enlighten their mood as they enter a room full of prismatic balloons. Let us help you decorate your room beforehand and turn the stage upside down. 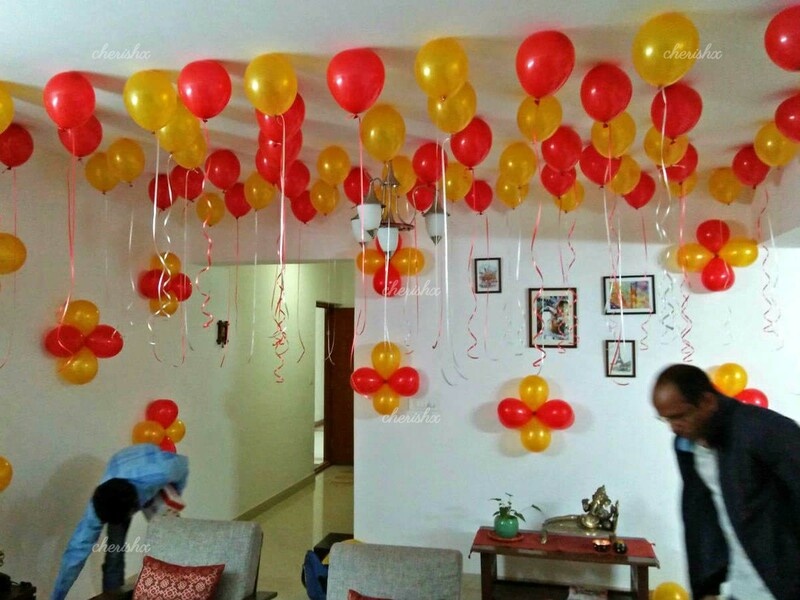 Balloon decoration is also amazing for special occasions such as spouse’s birthday, first anniversary, child’s birthday party or your parent’s anniversary. Schedule a CherishX decoration artist to visit your house in the chosen (2 hours) slot. 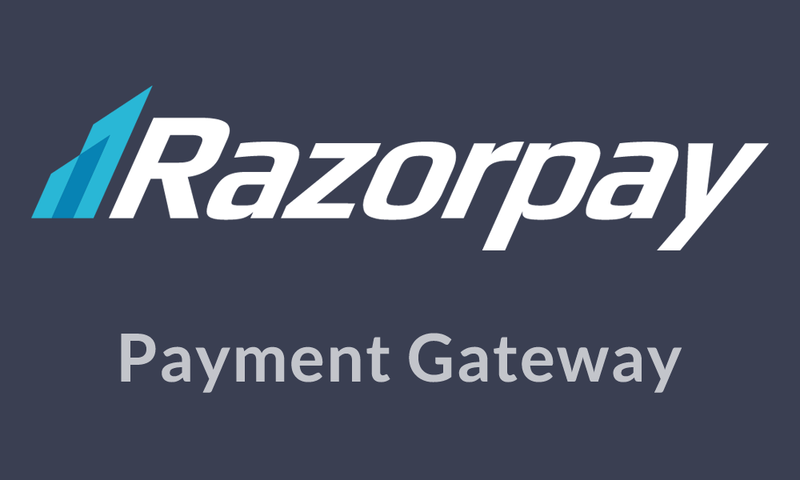 Plan your slot according to your convenience! 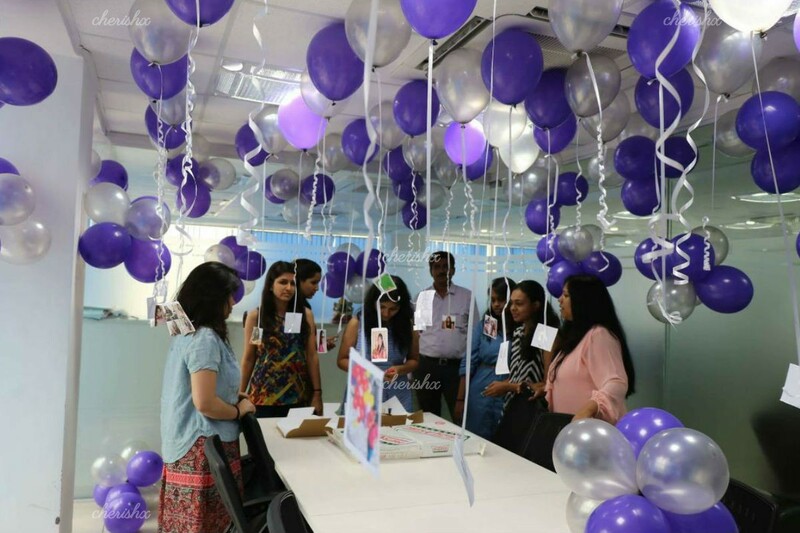 About 40 to 50 colorful balloons with vibrant ribbons will hang from the ceiling along with 100s of balloons spread on the floor in bunches. Plan it in your own way and coordinate it with the designer! 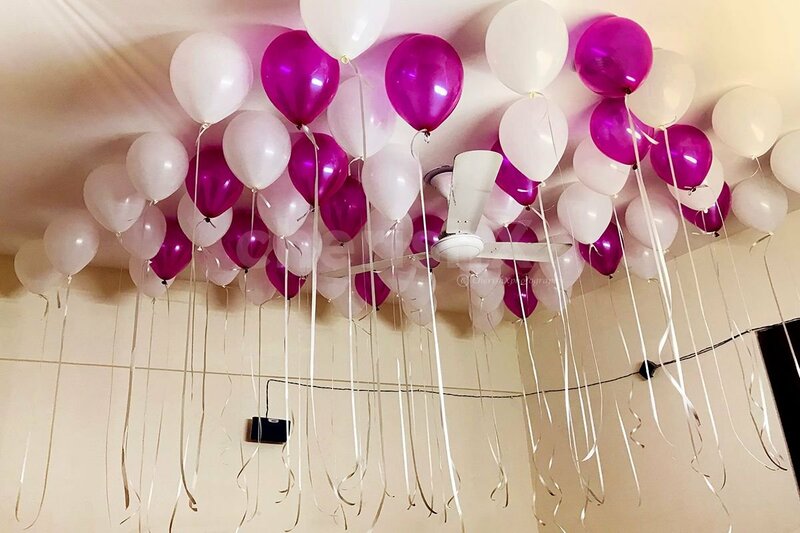 For sticking balloons, we use removable soft gum and for a safety purpose, we avoid using Helium balloons! 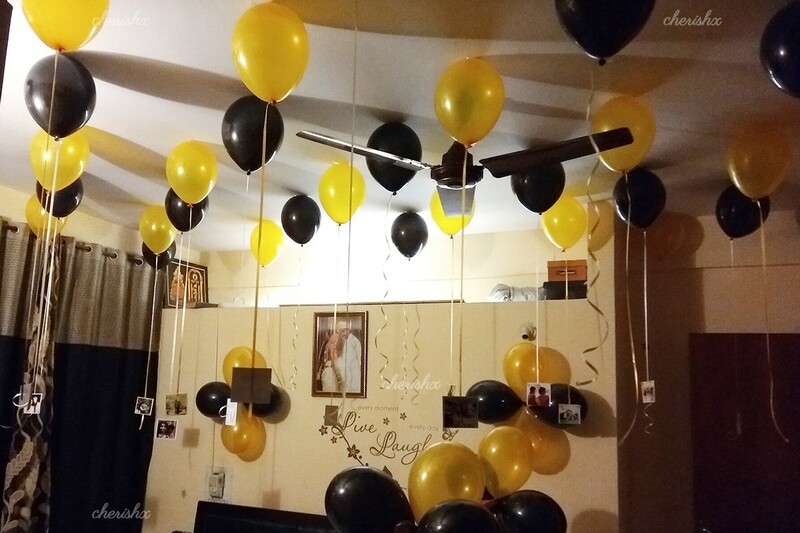 Although we recommend you to remove the balloons after 24 hours. 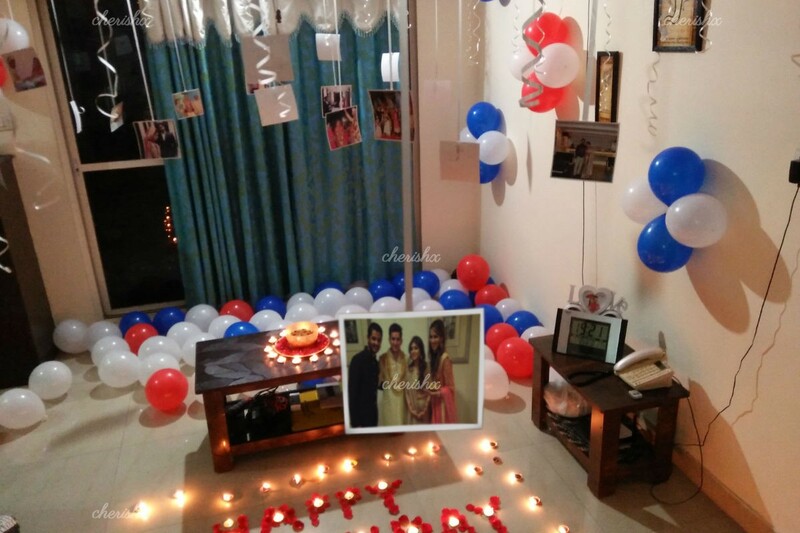 “Candles & flower petal decoration”: For those intimate and romantic occasions. Spice up the romance with oil lamps and fragrant candles. Express your message with rose petals spread on your bed. “Add more balloons”: For elegant rooftops and large rooms. 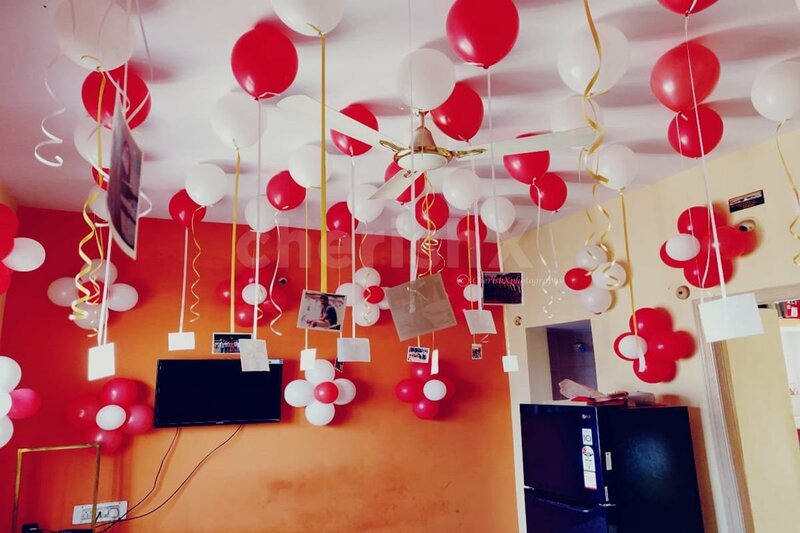 Decorate your way to the terrace with balloons and rose petals and make your partner feel blessed and loved as you both tread down the path together! “Movie screening”: We highly recommend this for Movie-lovers. We will arrange delivery & pick-up of a projector and large screen (6ft x 4 ft wide) to take your experience to a whole new level! Music is the remedy we need! And we think you need anything more with a guitarist playing your favorite symphonies while you relish yourself with a delicious cake! 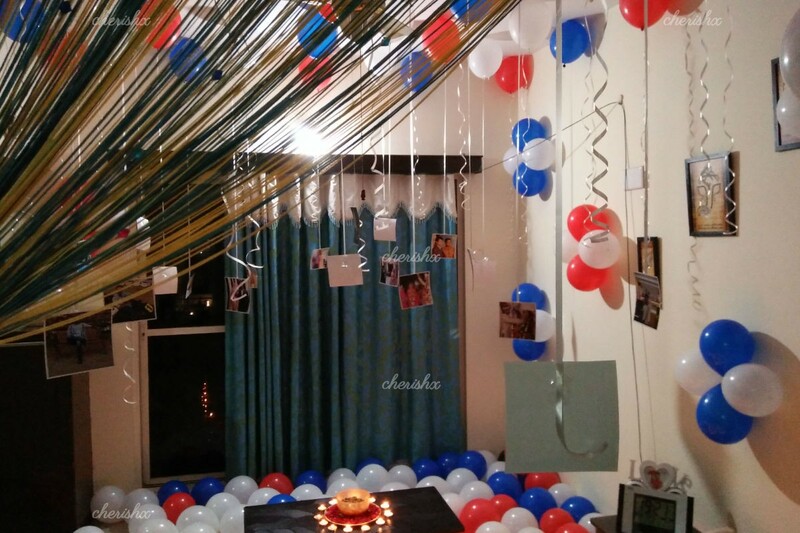 Add magic to this beautiful surprise by adding some memories. 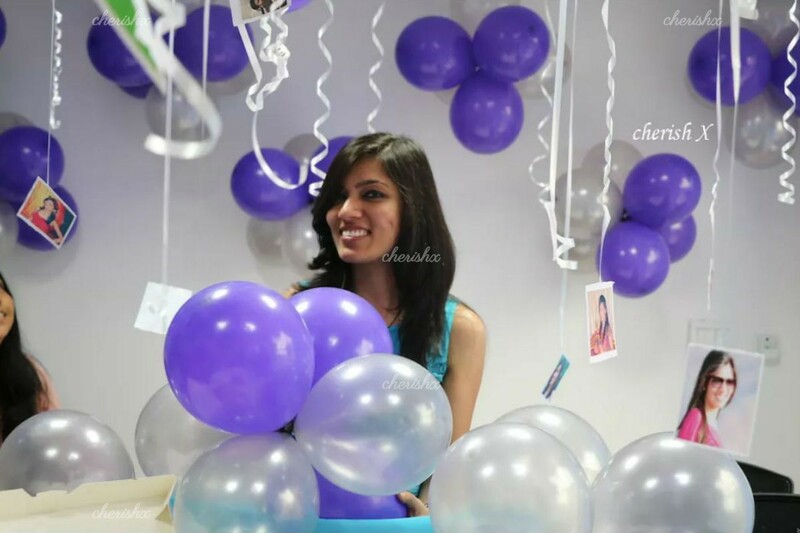 24 pictures can be hung delicately from the colourful and pretty balloons. You will get a Google Drive link to upload the photos after your booking.